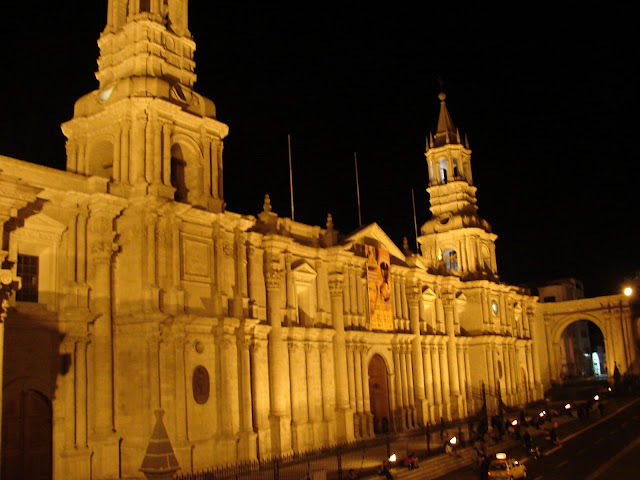 I caught the bus to Arequipa. I had to cross the border again to go into Peru. The original hostel that I was going to stay at was awful. 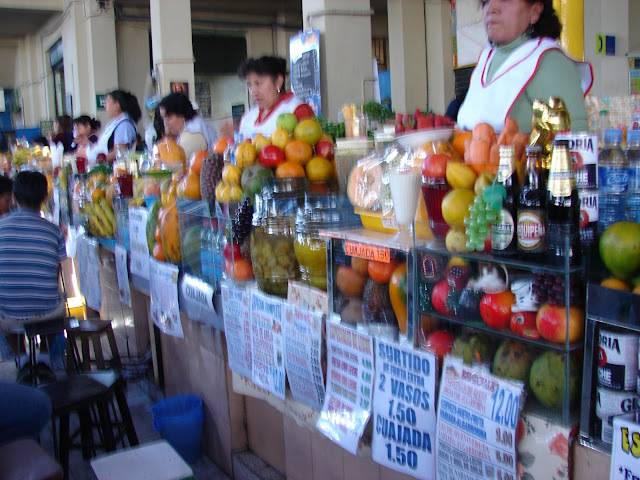 I found a great hostel while talking to a travel agent who arranged my trip to Colca Canyon. 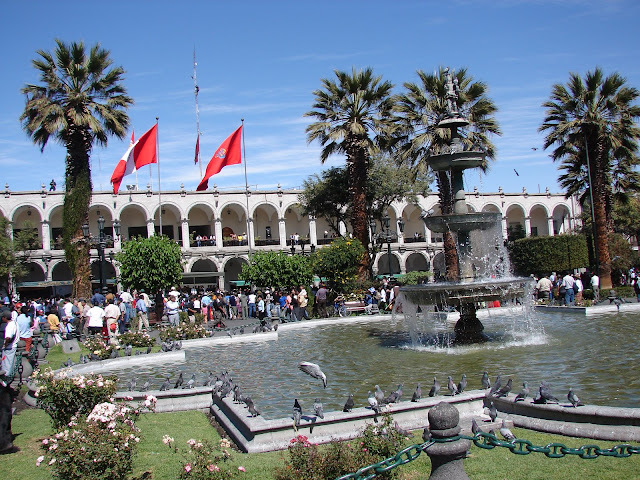 Arequipa was one of the most beautiful cities that I visited in Peru. 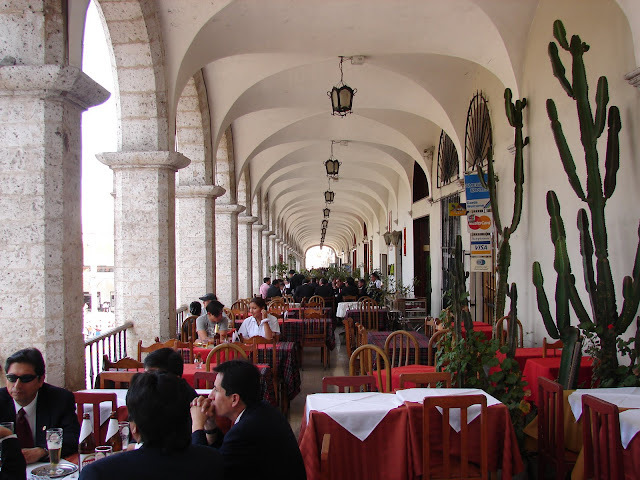 The plaza was great and had several nice restaurants plus was only 3 blocks from my hostel. 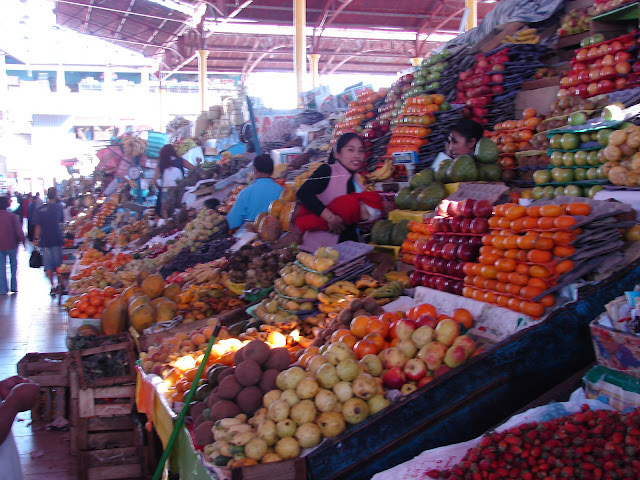 The market that I visited on Sunday was nice and had fresh fruit drinks, vegetables, meats and anything else you could possibly want.